NSW Police are mourning the loss of a second officer killed in New Zealand’s south island this year after a senior constable died when he was hit by an avalanche. Nathan Deutschbein, 40, a member of Blue Mountains area command, was trekking in the Mount Cook area on Thursday when he and his companion triggered a small avalanche that pushed them into a crevasse. New Zealand police said Mr Deutschbein’s companion, who was left with minor injuries, was unable to get to the 40-year-old in time to rescue him. 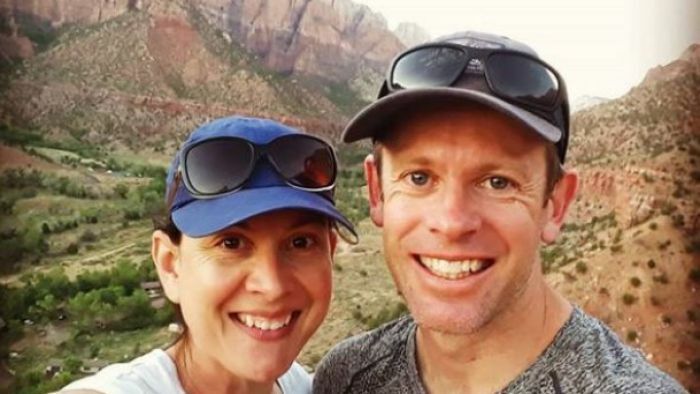 Mr Deutschbein, who leaves behind a wife and two children, is the second NSW police officer to be killed in New Zealand’s south island this year after 31-year-old Joshua Paroci died while rafting near Queenstown in May. Both men were off duty and holidaying at the time. Posting on social media, Mr Deutschbein’s wife Skye said the family is “broken”. “[We] cannot imagine a world without him. He was our Captain Awesome,” she said in the post. “I will be off social media for a time but will keep you informed of funeral details when we know more. The pair had celebrated their 19th wedding anniversary earlier in the month. NSW Police said he was a leading senior constable with the Blue Mountains Police Area Command and were offering support and condolences to the officers wife and family. Speaking on the incident on Friday, New Zealand police said the hiking pair had turned back due to poor weather when the avalanche hit. The NSW police officer’s hiking partner was winched out by a helicopter after setting off a locator beacon. A third member of their party had been unwell in the morning and stayed behind in a hut. He and the injured hiker were later flown off the mountain. The New Zealand Mountain Safety Council had warned of a moderate avalanche risk above 1200m because of loose snow and poor weather in the days prior. “[It’s] an inherently dangerous place to go,” a spokesman said. Thursday’s event was the second deadly avalanche at the national park in recent weeks. Last month, on nearby Mount Hicks, New Zealand adventurer Jo Morgan managed to dig her way out of the snow that killed her two companions, Martin Hess and Wolfgang Maier.